Don’t scrape the wax away! With this set you can actually carve the casting wax instead. Use these tools with wax lathes to make rings, or use them to make designs or smooth wax away. Made of surgical-grade stainless steel and a sure-grip handle for comfort. 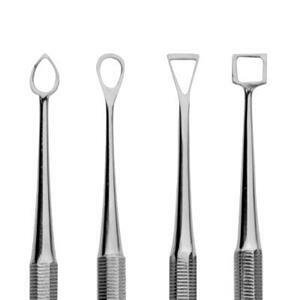 Four piece set includes: Square, Round, Triangle and Spade.